Lamps are the light and life of every room. 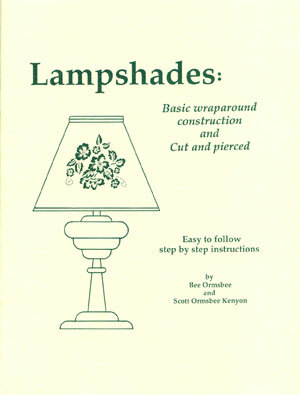 Discover how easy it is to enhance your rooms with this complete introduction to the art of making lampshades. Many creative project ideas are presented in this illuminating book. 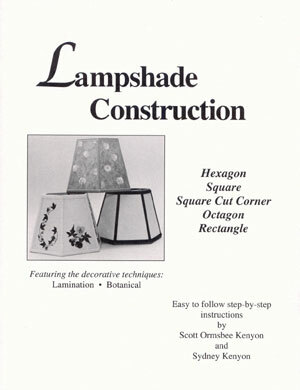 You will learn how to cover, line, and trim an existing lampshade, as well as create your own distinctive lamps and shades in a variety of stunning styles. Clear, concise, and easy to follow instructions and illustrations will make it easy. 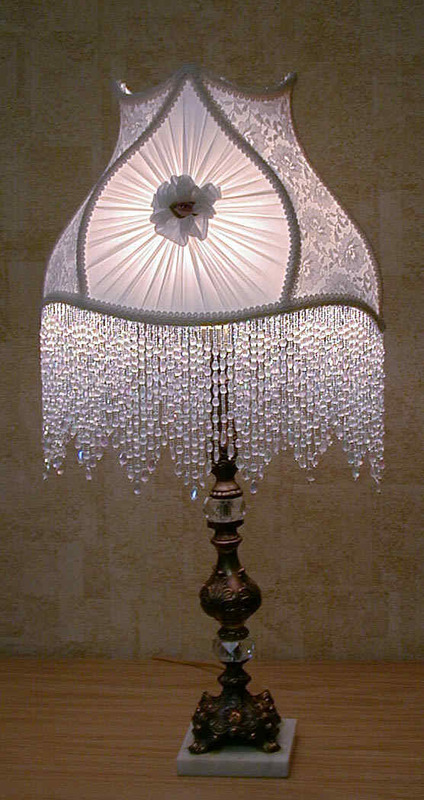 For the designer and decorator, the silhouettes of lamps and the shapes of lampshades are named and defined. A section shows you how each base and shade complement each other, so you can combine them using good design techniques. Learn how you can change the look of a room instantly with the versatility of lampshades. And if you are interested in selling your wares, a section on pricing your work is included. 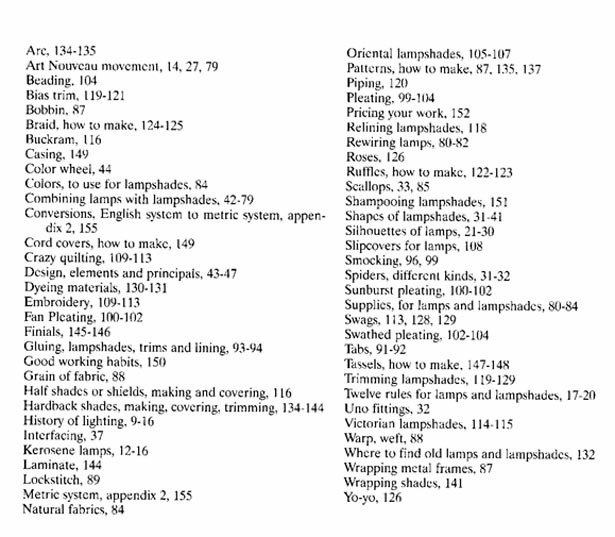 This comprehensive how-to will inspire everyone to experiment with the art of making lampshades. Two exciting instructional videos revealing lost-art techniques for making beautiful Victorian Lampshades. This is a very satisfying hobby, and can be turned into a very lucrative small business. 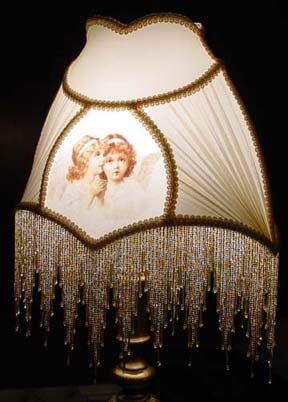 It is not uncommon for customers to pay $300 or more for a custom, hand-sewn Victorian Lampshade for table lamp or bridge lamp. To take classes to learn this wonderful craft would cost hundreds of dollars, if you could find such classes being offered anywhere! With the videos, you can learn at your own pace, reviewing any part of the video when you want. 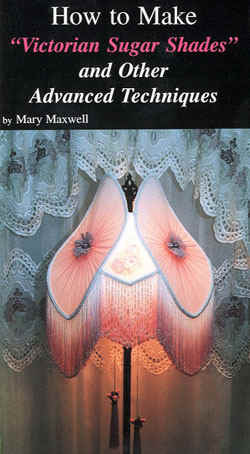 Mary Maxwell, the owner of Heart Enterprises, was a finalist for Craft Designer of the Year by Craft & Needlework Magazine. 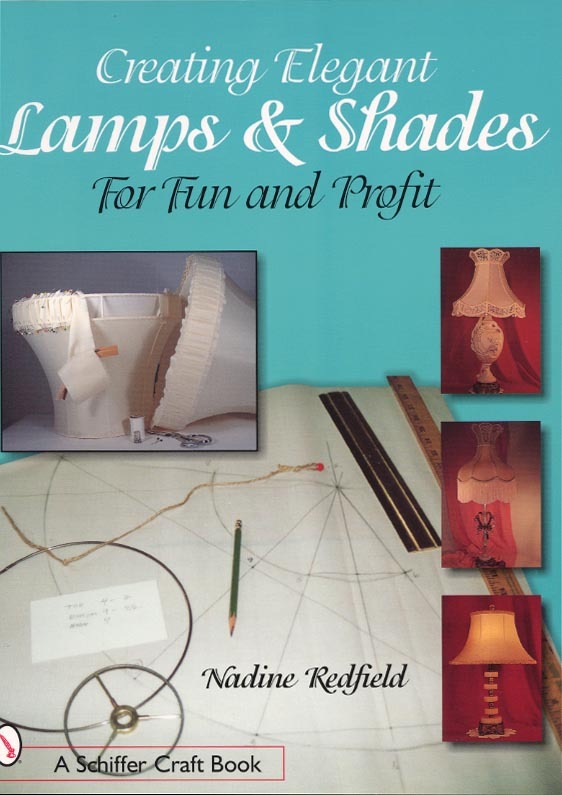 She has been designing Victorian lamp shades for over twenty six years. Her clients are coast to coast, and in both Canada and South America they view her lampshades as works of art! She also teaches her masterful techniques in step-by-step videos. All you need is basic sewing skills and the desire to create a beautiful and timeless Victorian style lamp shade for a fraction of the retail cost. How to measure & cut the fabrics for each unique panel. How to apply the decorative trims Bead fringe or long thick fringe Also the Custom Color Dyeing Technique is demonstrated Completely (so that you may add darker edges to both your Rosettes and Fringes) A technique that is very popular on Victorian Lampshades!!! 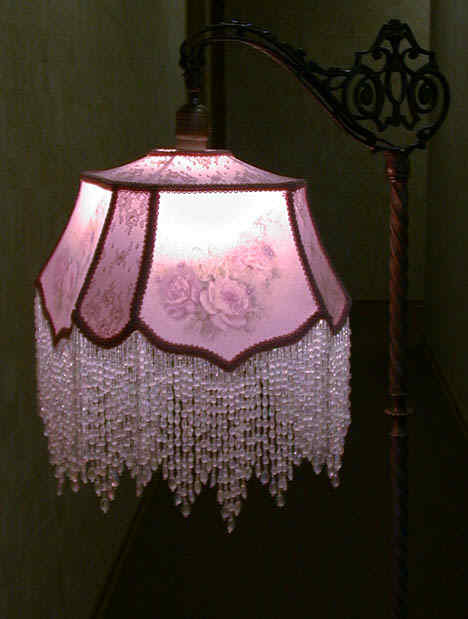 This video shows how to make the "Victorian Beauty" lampshade shown below, from start to finish. (Click on the picture to see more detail.) A complete kit to make this lampshade is available. This video has 12 Victorian Shades on it to give examples of Color combinations and designs. The video is like a class that you can review anytime and as many times as you choose. A catalog of supplies, including complete kits as well as decorative wire frames, hand strung bead fringes, silk chiffon, pretty trims, & a beautiful brass lamp completes your selection. Note: American video tapes are not compatible with most foreign VCR's so we will only accept orders within the United States. We accept directly credit card payments.